VietNamNet Bridge – Nguyen Van Huyen, Director General of the Directorate for Roads of Viet Nam (DRVN), speaks to Viet Nam News Agency on measures to solve the problem of overloaded trucks. What has the DRVN achieved in monitoring trucks’ weight? Over the last five years, thanks to the good management of trucks’ weight on the roads, we have considerably reduced the number of transport accidents while protecting our road infrastructure systems. Our transport inspectors have done a good job in their daily work in maintaining law and order on the roads, particularly reckless truck drivers. According to the 2018 annual report from the Directorate for Roads of Viet Nam (DRVN), the number of overloaded trucks running on roads nationwide was kept under 10 per cent. 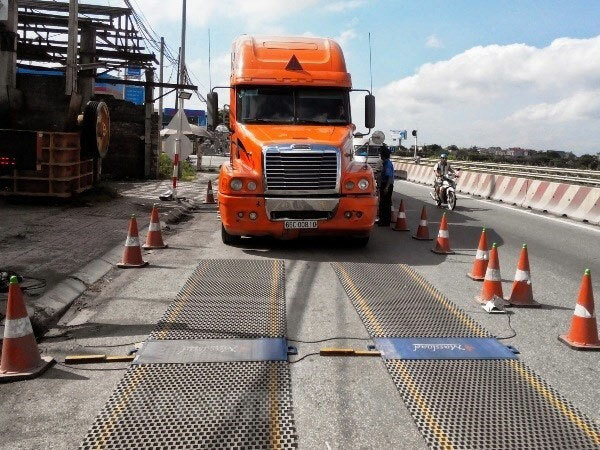 In the year, more than 166,000 vehicles had their weight checked through the use of either portable truck scales or portable weighing pads and almost 18,000 trucks were found to have violated traffic laws. Through those checks, more than 6,200 drivers had their driving licenses revoked and had to pay a total of almost VND200 billion (US$8.6 million) in fines. I don’t deny that traffic violations are still rampant in Vietnam due to various reasons, including a shortage of road inspectors and a lack of responsibility of people assigned to oversee the loading and unloading of goods in ports, shipyards and elsewhere. Recently, you led a team from the DRVN to inspect reported rampant heavy truck use in some localities. What did you find on this mission? During the mission, we did find quite a few trucks that violated the law and we issued spot fines. I’m very glad to hear that following our inspection, traffic violations have reduced considerably. However, in many other localities, overloaded trucks have been running on the road without inspections from concerned authorities. This is something we have to take action on immediately to ensure law and order. What measures or solutions will the DRVN adopt to tackle overloaded vehicles? The DRVN vows to do its best to ensure law and order for the operation of all trucks. This is the most effective measure to protect the country’s transport infrastructure. We ask all Provincial People’s Committees nation-wide to order their provincial Departments of Transport to strictly abide by the PM’s Instruction No.32/CT-TTg in 2016 on strengthening the control of transport vehicles in their localities. To stop overloaded trucks using the roads, the instruction calls on all provinces to take measures to control overloaded trucks using portable truck scales or portable weighing pads. Last but not least, the DRVN will work with the Viet Nam Automobile Transport Association to organise a national workshop on vehicle load control and to launch a campaign to raise the people’s awareness on vehicle load control.